Desc: Landstrom's Black Hills Gold Black Onyx dangle necklace. 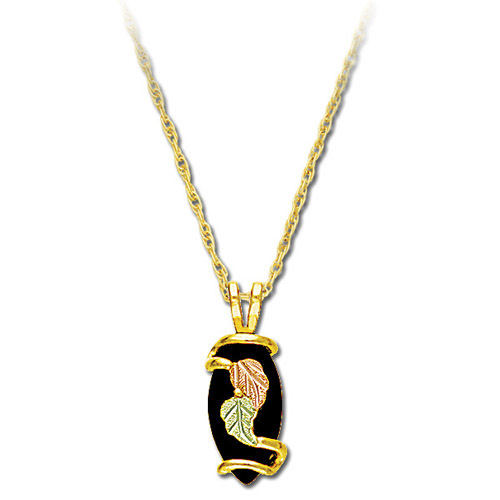 The Black Onyx is carved in a marquis shape and the rose and green gold leaf pattern is over the gemstone. Made in the United States of America.